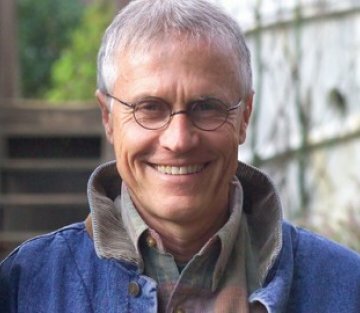 I agree with Paul Hawken’s view that we need more focus on solutions, vision, and story, and less on the science and data. Too much information just locks in our paralysis and analysis. The world needs our actions, now! In reality, as Paul’s book Drawdown points out, we already have the technology to deal with climate change, but we need a shift in how we talk, write, and think about climate change. Currently, we’re locked into a mode of “fighting” climate change. As Paul points out, you can’t fight the climate. It is simply feedback from the planet giving us an opportunity to change how we interact with this glorious home we call earth. The most important step is to change our conversation and posture towards the climate. We need to accept the feedback and move into conversations about solutions and better ways to live in harmony with the planet. Paul’s Drawdown project offers what he believes are the best 100 solutions to climate change at this time. Sangduen “Lek” Chailert grew up with a love of animals that led her to her life’s work. Since she was 16 and saw how elephants were mistreated to train them for entertainment, camps, and tourism, she has been a compassionate voice for transforming the way elephants are treated. In 1996 Lek founded The Elephants Nature Park as a sanctuary for mistreated elephants to live safe and free. She even hires some of the people who formerly mistreated the elephants in camps. Her compassionate actions are gradually changing the tourism industry in Thailand. Watch her touching story of why and how she cares for the elephants. This article by Margaret Wheatley called Bringing Life to Organizational Change speaks strongly to me. Margaret talks about most organizations being places that try to lock in set behaviors in pursuit of goals they believe will get them where they want to go. Like in my new phone sales job; make x number of calls, talk to y number of people, set z number of appointments. The problem with this regimented approach is it leaves very little room for people’s creativity, personalization, and ownership of their work and lives. Plus, nature doesn’t grow by locking in set processes with neat logical steps. Life organizes with tangled webs of relationships, processes, and feedback loops that continually adapt and evolve. Life grows as more information (feedback) mounts until the old way doesn’t work and organisms are forced to let go of the old and behave differently (ie to grow.) 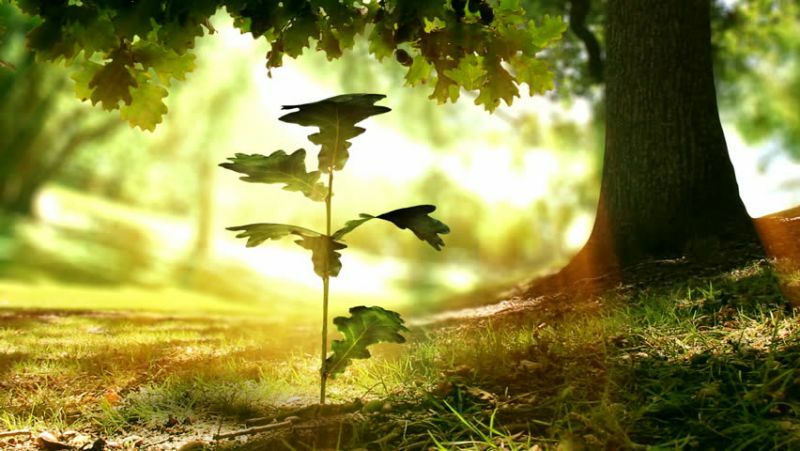 Life grows because each organism is free to choose, there is room for experimentation, creativity, and change. Whereas in most business organizations (even ones who profess to embrace change), there are locked in patterns that managers strictly enforce. The price for this way of organizing is the loss of creativity, vitality, and life itself. In organizations, people only support what they create. This means that companies that want to remain vital, growing, and innovative must allow individuals to participate in the processes. May your week be full of creative participation and solutions. Thanks for sharing these stories of these great people with great vision. They are an inspiration to us all. You’re most welcome Isis. Thanks for your kind words and support. Lovely post, Brad — and a feast for thought. It’s so true that we’re inundated with data — and we need a narrative. Happy weekend hugs. Thanks Teagan. Maybe the writers and storytellers need to lead the way. The first highlight there is great. I think we talk way too much about data, too. But if we can invite conversation, then we can change things. I love the way Paul Hawken thinks! As for Lek Chailert, I am in awe. This just goes to show that any one of us can make a difference and change things for the better. 🙂 Beautiful post and so encouraging. Thank you! You do an incredible job of finding thought provoking articles…all of these are great…especially the last one..I so agree! Thank you Kirt. It takes a lot of time, but I enjoy sharing stories that inspire and uplift. I’m glad you enjoy them. Thank you for these great stories, Brad. I’d seen videos about Lek and the elephants before, but not this one. Her love and positive energy always come through. She is an inspiration. I’m happy to re-blog these Awesome Stories from Brad. Listening to Lek Chailert gives me hope. Seeing the love she shares with the elephants brings me a big heart smile. She is a hero of compassion. The other stories are important, too. We need to focus on solutions to help planet Earth and a healthier flow for change. Me too Barbara. It’s amazing what we can do if focused on taking care of each other and earth. Hi, I just read & watch your post and first off want to start off by saying thank you so much for sharing all this information. I’m going to Thailand in October with my beloved and best friends and I would love to spend a day with the elephants! Thanks Soumya. Welcome to our community. Elephants are amazing creatures. I hope you get to spend time with them in a nurturing environment like this reserve. Enjoy Thailand!